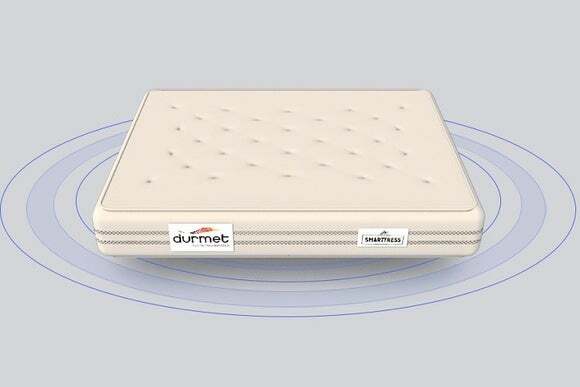 The Durmet Smarttress uses motion sensors to detect foul play, which is pretty much the worst justification ever for buying a mattress. Of all the potential criteria for buying a mattress—firmness, breathability, the presence of memory foam, to name a few—being able to catch a cheating spouse probably isn’t high on anyone’s list. But that hasn’t deterred Spanish mattress maker Durmet, which is marketing a “lover detection system” as the key selling point—or, rather, the only selling point—of its Smarttress mattress. Basically, the mattress hides a battery-powered motion sensor that connects to the Internet, and alerts you via smartphone app when it detects any bouncing around. Alternatively, you could buy a security camera, hire a private detective, rig up your own motion-sensing solution, or seek to mend whatever underlying relationship issues are stoking your suspicions in the first place. Durmet’s pitch—and accompanying promo video—is so corny that we’re tempted to believe it’s a hoax. But according to Recode, the company is real, and has been in the sleep materials business since 2012. More likely, this is just a marketing stunt for what will otherwise be a decent mattress, with a built-in sensor for normal things like sleep detection. In that case, mission accomplished. But since Durmet isn’t currently taking orders—its website only has a sign-up form for potential customers—it seems like a bit of a wasted opportunity. In the meantime, you can buy on-bed sleep trackers from companies like Beddit and Eight without committing to a brand-new mattress (and making your perfectly faithful spouse think you’ve gone paranoid in the process). The impact on you at home: None, hopefully.